Katie Fehrenbacher for The Guardian: At the edge of a plot of muddy farmland, a few miles down the road from the University of California at Davis, an engineer takes a few quick steps across crop rows and lets go of a three-foot drone. Within seconds, the device – which weighs less than 2lbs and carries a powerful camera – ascends hundreds of feet into the cold, clear, blue sky and begins to snap detailed photos of the ground far below, including a long row of large solar panels mounted on steel poles. 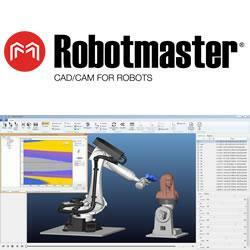 Robotmaster V6 provides a unique integration of user control, speed and flexibility to Robotmaster's renowned automation and optimization tools. The new and intuitive V6 interface elevates Robotmaster to an unprecedented standard of user experience by giving robot programmers a coherent and dynamic tool that radically saves time and money. Omron Adept is a leading provider of intelligent robots and autonomous mobile solutions and services that deliver precision, speed, quality and productivity in assembly, handling, packaging, testing, and logistical processes. Omron Adept has a comprehensive portfolio of high-performance motion controllers, application development software, vision-guidance technology and high-reliability robot mechanisms with autonomous capabilities.